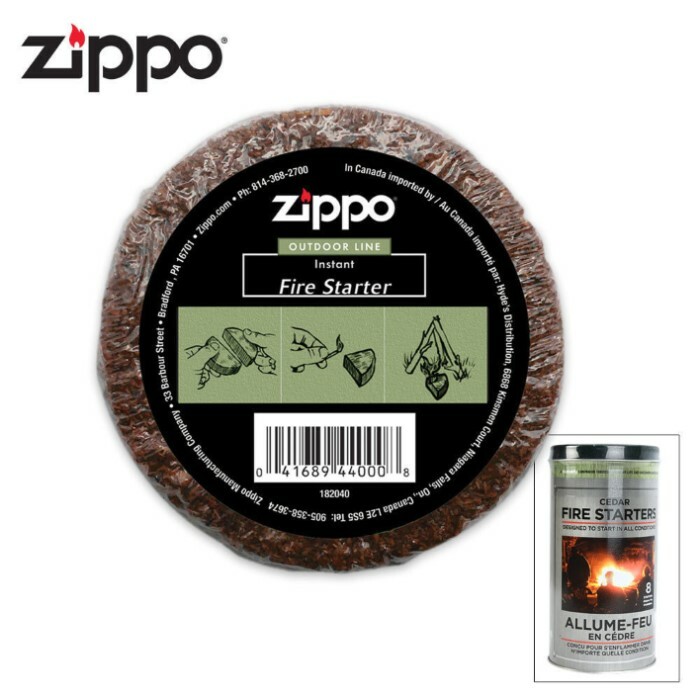 Zippo Cedar Fire Starter Tin | BUDK.com - Knives & Swords At The Lowest Prices! This beautiful decorative tin includes eight cedar fire starters, made of 100% all natural, recycled materials. Each fire starter can start in any condition, even when wet!